Boy, they sure did like their epics back in the Fifties and Sixties, didn’t they? 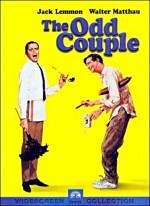 That era packed in a lot of oversized flicks, and even comedies entered the fray. Usually that genre works best when done in a concise manner, but I guess even funnymen thought that bigger was better. Whether one agrees or disagrees will remain a matter of taste, I suppose. I’ve never seen the genre’s most famous representative, 1963’s It’s A Mad, Mad, Mad, Mad World, so I can’t say how I’d react to it. However, now that I’ve watched Mad’s less-remembered cousin, 1965’s The Great Race, I can state that this epic comedy could have used some judicious editing. Set in the early 20th century, The Great Race follows the competition between showmen the Great Leslie (Curtis) and Professor Fate (Lemmon). The first segments depict their events, and it takes awhile before the plot starts in earnest. To help tout a certain make of automobile, Leslie suggests a race from New York to Paris that will progress west across North America into the Bering Straits, Asia, and eventually Europe. Of course, Professor Fate - aided by moronic sidekick Max (Peter Falk) - wants to be his archrival, so he enters the race with a car of his own devising. In addition, headstrong suffragette Maggie DuBois (Wood) forces Henry Goodbody (Arthur O’Connell), the head of a New York newspaper, to hire her to be the paper’s first female reporter. She takes on the race as her first assignment, and decides she’s drive a car as one of the competitors to ensure she’ll be there for every step of the way. So the race takes off, and we watch our three main characters as they head west. The majority of Race deals with their interactions. They get into fights in an old west town, and they become stranded on an ice floe near Alaska. The story diverts from the race when they reach the eastern European locale of Potzdorf, where they encounter a plot to get rid of rising monarch Prince Hapnik (Lemmon). The prince looks just like Fate, so some rebels kidnap the professor and swap him for the ruler. They also imprison Leslie and Maggie and cause other problems. Of course, all becomes rectified before too long, and this ends in a massive pie fight. Eventually the racers make it to Paris, where Leslie declares his simmering love for Maggie and the drive comes to an unexpected conclusion. The Great Race had some potential, and it indeed offers occasional humorous moments. However, these occur far too infrequently for such a long movie. At 160 minutes, I thought Race would never end, and the plot seems way too thin to hold up to such extended scrutiny. Did we really need so many minutes of antics to introduce Fate and Leslie? No - those segments could have been sliced radically. Really, this self-indulgence causes most of Race’s problems. It packs in every gag it can conjure and doesn’t discriminate between them. The movie easily could have lost an hour of its running time and succeeded better. Ironically, I have to admit that I felt the movie’s funniest moments come from its most extraneous part. The whole Potzdorf segment seems useless from a storytelling point of view. It has nothing to do with the main thrust of the film and it easily could have been cut. However, it also offers the most entertaining material, largely thanks to Lemmon’s exuberant take on Prince Hapnik. Lemmon’s the main reason the material we find here works as well as it does. He goes totally over the top in both his roles, and his manic energy makes them both more amusing than they might have been. Wood also brings a forceful broadness to Maggie that works nicely for the part; she seems like a stereotype, but she’s a fun one. Only Curtis seems to falter, though he gets stuck with the most thankless role. This kind of perfect character possesses little room for growth or life. I suppose Curtis does his best, but Leslie presents a void at the heart of the movie; he’s such a bland character that he drains the life from most of his scenes. In the end, I thought The Great Race had a few moments of funniness, but overall it left me cold. The movie ran far too long, and it contained too little real humor. It piled on slapstick that went nowhere. Some of the actors helped bring a little pizzazz to the project, but I still felt bored and uninterested with most of this excessive comedy. 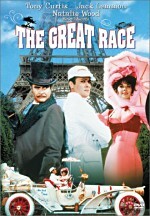 The Great Race appears in an aspect ratio of approximately 2.35:1 on this single-sided, double-layered DVD; the image has been enhanced for 16X9 televisions. Although one small issue marred the presentation, most of the time Race offered a truly magnificent picture. Sharpness almost always came across well. The movie usually displayed excellent clarity and definition. A few wide shots displayed a minor amount of softness, but those issues appeared infrequently. I detected virtually no signs of jagged edges or moiré effects, and Race seemed almost totally free of print flaws. On two occasions, I noticed a tiny hair at the bottom of the screen. A few effects shots also demonstrated some exceedingly light grain. Otherwise, the movie seemed shockingly clean and fresh. Even though Race used many “process shots” - which usually display many defects - those images came across without any concerns. I’d say that Race looked like it was shot yesterday, except most modern films show more flaws than I witnessed here! Colors appeared truly marvelous. Race boasted a vivid and broad palette that favored many bright and lively hues, and the DVD replicated them with incredible vivacity. The tones always looked accurate and distinct, and they showed no signs of bleeding, noise, or other issues. Honestly, the colors really jumped off the screen. Black levels also seemed very deep and rich, while shadow detail was appropriately heavy but not overly dense. Even some “day for night” shots came across with excellent definition and clarity. 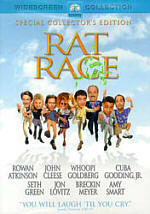 I almost never hand out “A+” ratings for picture quality, but I entertained the notion for The Great Race. Most of the image left me with a dropped jaw; I couldn’t believe how immaculate and vivid the movie appeared, especially given its age. However, I lowered my grade to an “A-“ for one reason alone: edge enhancement. That problem didn’t show up frequently, but it marred a few scenes. I really wanted to give The Great Race the highest honors for picture, but I can’t do so when edge enhancement rears its ugly head. Despite that issue, I still felt the movie looked outstanding for the most part, and it definitely deserves high marks. Of course, audio for a 37-year-old movie can’t live up to those levels, but the Dolby Digital 5.1 soundtrack to The Great Race appeared quite strong nonetheless. The soundfield showed an emphasis on the forward speakers, and it generally presented a nice array of elements there. Early in the film, speech demonstrated some odd localization, as voices seemed to come from the wrong side of the screen at times. However, this cleared up fairly quickly and didn’t cause problems later in the movie. Otherwise, music offered nice stereo separation and presence, and effects cropped up in the correct locations. Those elements also seemed to blend together well, and the pieces moved cleanly across the spectrum. The surrounds didn’t add too much, but they provided some good reinforcement at times. A few of the louder sequences benefited from rear elements. For example, a plane swooped nicely from front to back, and a few other scenes followed suite. The soundfield doesn’t compare with modern efforts, but it seemed nicely ambitious and active for its age. Audio quality appeared quite good for a movie of this vintage. Speech seemed a little thin and tinny at times, but I expected that given the film’s period. I felt dialogue consistently sounded accurate and distinct, and I heard no issues related to edginess or intelligibility. Effects were similarly clear and concise, and they lacked any signs of distortion. They also boasted good oomph at times; for example, explosions and blasts kicked in some solid bass response. Music seemed bright and lively, and the score also showed nice depth. I heard no indications of source noise or other concerns. Overall, the audio for The Great Race fared quite well. Note that the 5.1 soundtrack of The Great Race features at least one noticeable error. During the opening credits, a canned “audience” is supposed to cheer the name of Curtis/Leslie and boo for Lemmon/Fate. However, the reverse occurs. Hopefully Warner Bros. will fix this. Unfortunately, we don’t find many extras on this DVD. Most significant is Behind the Scenes With Blake Edwards’ The Great Race, a 15-minute and 25-second featurette that first appeared during the film’s theatrical release. Breathlessly narrated by an unnamed commentator, this piece mixes clips from the movie and shots from the set. The latter don’t include the natural audio, as we hear music and the narrator on top of them. The show seems very promotional in nature, but the behind the scenes material can be fun to see. After that, we locate only a few minor components. We get the film’s theatrical trailer. Presented in anamorphic 2.35:1, this clip seems a little more interesting than usual because it includes some short clips from other movies that featured Jack Lemmon, Natalie Wood and Tony Curtis. Cast and Crew gives us little more than a chart of the participants; we can only access the listing for Blake Edwards. Finally, Awards just shows that Tregoweth Brown won Best Sound Effects for the movie. While not a bad comedy, The Great Race suffers from an excessive running time. It lasts far too long, which wears weak jokes even thinner. The cast makes it sporadically amusing, but overall it lacks much humor. The DVD presents nearly flawless picture along with very good sound and only a minor roster of extras. Fans of this sort of “epic comedy” may get a kick from The Great Race, but others will likely find it too slow-paced and without enough laughs to sustain its length.